Learn how to cut a pineapple with this simple step-by-step guide. The sweet golden flesh can be sliced and diced for a tropical fruit snack or used in various recipes. The thick prickly skin and pokey crown of a pineapple may seem like a challenge to cut, but the process is quite simple! Follow these easy steps on how to cut a pineapple so the delicious crowned royal fruit can be added to any recipe and enjoyed all year long. The first step is figuring out how to pick a pineapple. The peak season is from March to July and most pineapples are harvested at its peak ripeness, so once they hit the store they should be ready to eat. The tricky part is that depending on the grower and variety, some pineapples may still have a slightly green flesh when ripe or a more golden hue. The senses can be your best indicator for knowing when a pineapple is ripe. Pick it up and smell the bottom of the fruit for a sweet, and not fermented aroma. If it still smells very green, then it’s not very ripe. The outside skin and leaves should have some shine and not be dull. The outer skin should also feel firm with a slight give. Once you’ve selected the perfect fresh pineapple, it’s time to cut it up! This guide for how to cut a pineapple is the easiest method that I’ve found after many delicious testing opportunities. The key here is to make sure to use a sharp chef’s knife and a stable cutting board before you get started. Place the fruit on a cutting board and lay the pineapple on its side. Secure the pineapple with one hand, and then slice off the top, about 1/2-inch down from where the green crown and flesh meet. Turn the pineapple around and trim off about 1/2-inch from the bottom of the fruit. Stand the pineapple up on the bottom side. Carefully trim the thick fibrous skin, starting from the top to the bottom, being careful to preserve as much of the sweet flesh as possible. Cut around the pineapple, following the natural curve of the fruit until all of the skin is removed. There will be brown circular “eyes” left in the pineapple flesh which are inedible. It’s a little more work to remove them, but worthwhile if you’re cutting rings or thick slices. Use a small paring knife to make shallow diagonal V-shaped cuts in a spiral diagonal pattern to remove the eyes. Carefully cut the eyes out in a connected diagonal slope, turning the pineapple until all of the eyes are gone. 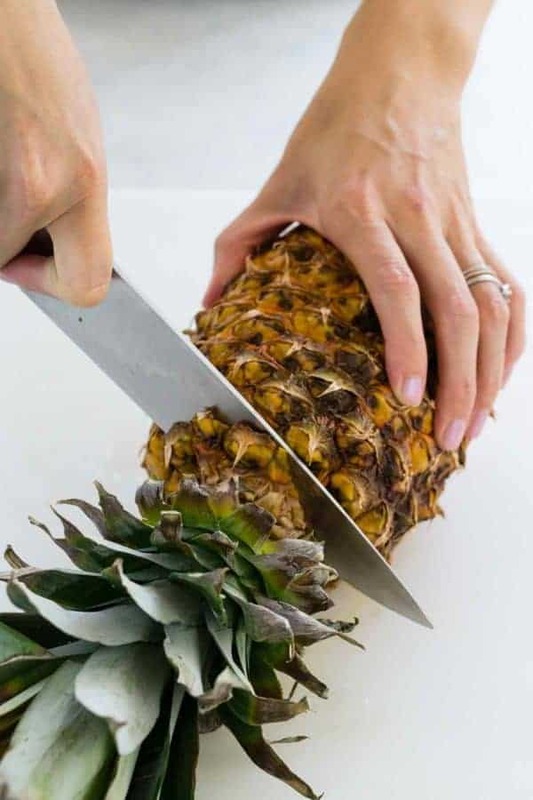 When cutting smaller slices or chunks of pineapple, I found it equally easy to trim off the eyes as I’m cutting the fruit into smaller pieces, which is what I did for this guide below. Cut the cleaned pineapple in half through the center. To make slices or diced pineapples, cut the pineapple into 4 pieces lengthwise. Cut the thick and fibrous core from the center of each wedge. If you’re making rings, then cut the rings into desired thickness. This works best when you have already removed the eyes using the spiral cut method. Use a round cookie cutter or biscuit cutter to remove the core. I used a 1 1/2-inch round cutter. Cut each quarter into spears, slices, chucks, or smaller bite-sized pieces. If you made rings, cut the pineapple into chunks. Add the pineapples to a colorful fruit salad, into a pineapple salsa, popsicles, or smoothies. If you’ve selected a good pineapple, it’s best to eat it within the first few days to avoid deterioration. 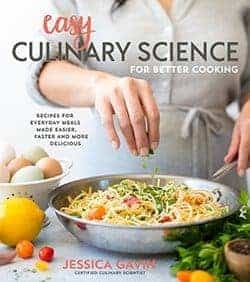 Store at room temperature on the counter for a few days, or prolong the shelf life by placing it in a plastic bag in the refrigerator and eat within 3 to 5 days. Sliced or diced pineapple should be stored in an airtight container in the refrigerator for up to 3 to 5 days, disposing of them once they start to smell fermented. Cut pineapples can also be stored in a resealable plastic bag with as much air removed as possible for 12 months. 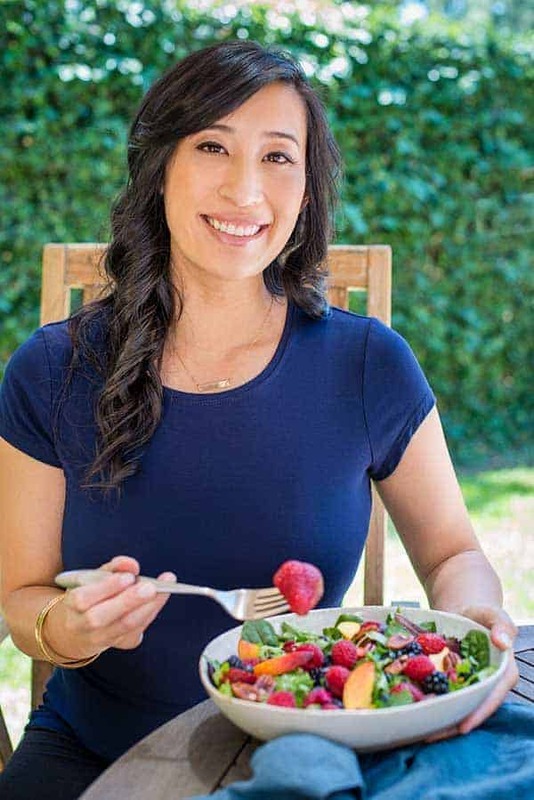 This popular tropical fruit satisfies the body with it’s balanced sweet and tart flavor, combined with its nutrient dense profile of vitamins, phytonutrients, and fiber. The golden flesh is especially loaded with vitamin C, B vitamins, potassium, and manganese. 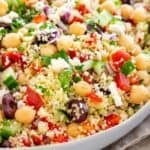 The high amounts of dietary fiber help with satiety and regularity. The presence of the bromelain enzyme aids in the digestion of some proteins. 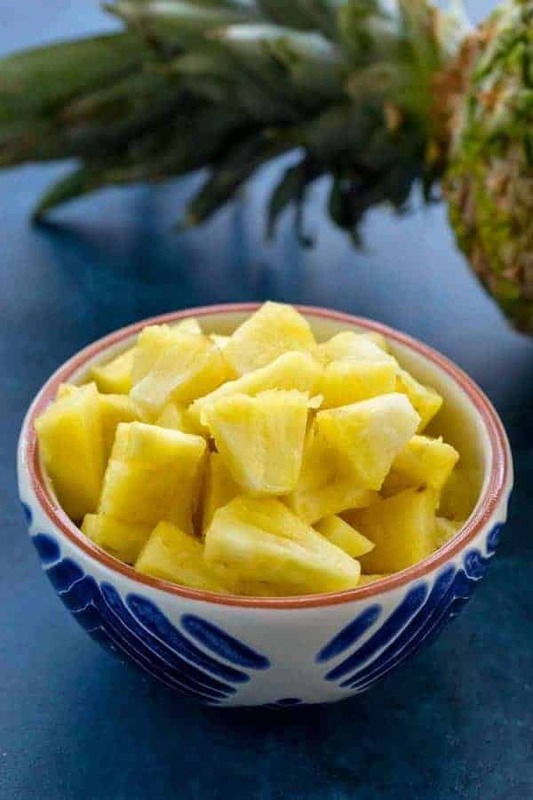 In a one cup serving of diced pineapples, there are approximately 120 calories, 2 grams of fiber, 34 g carbohydrates, and 28 mg vitamin C, plus other nutrients (Source: USDA Nutrient Database). Learn how to cut a pineapple with this simple step-by-step guide. The sweet golden yellow flesh can be sliced and diced for a fruity healthy tropical snack or used in different recipes. Place the fruit on a cutting board and lay the pineapple on its side. Secure the pineapple with one hand, and then slice off the top, about 1/2-inch down from where the green crown and flesh meet. Turn the pineapple around, and trim off about 1/2-inch from the bottom of the fruit. Stand the pineapple up on the bottom side. Carefully trim the thick fibrous skin, starting from the top to the bottom, being careful to preserve as much of the sweet flesh as possible. Cut around the pineapple, following the natural curve of the fruit until all of the skin is removed. 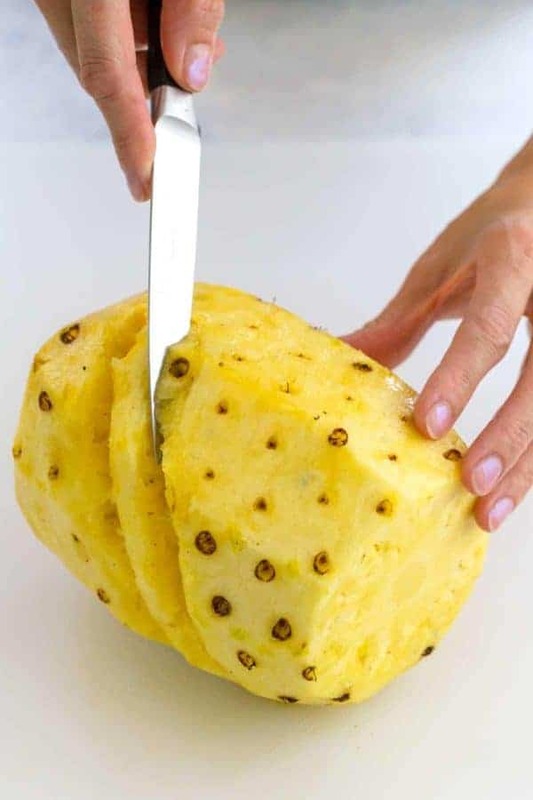 Remove the brown "eyes" left in the pineapple flesh by using a small paring knife to make shallow diagonal V-shaped cuts in a spiral pattern to remove the eyes. Carefully cut the eyes out in a connected diagonal slope, turning the pineapple until all of the eyes are gone. Alternatively, trim the eyes off fruit once cut into wedges and sliced into smaller pieces. If making pineapple rings, cut the rings into desired thickness and then use a round cookie cutter or biscuit cutter to remove the core. Alternatively, cut the cleaned pineapple in half through the center. 1 pineapple yields about 4 cups of diced fruit. Store cut pineapple in an airtight container for up to 3 to 5 days, throwing away once the pineapple starts to smell fermented or tastes "fizzy". Cut pineapple can be frozen for up to 12 months in a resealable plastic bag. I have a much easier way to cut a pineapple. Feel free to contact me if you are interested in my process. Tom, Can you post here the details on your “much easier way”?? ?